Perfect for Coffee Cups, Water Bottles, and Soda Cans. •Fits most Harleys, Hondas & Metric Bikes. 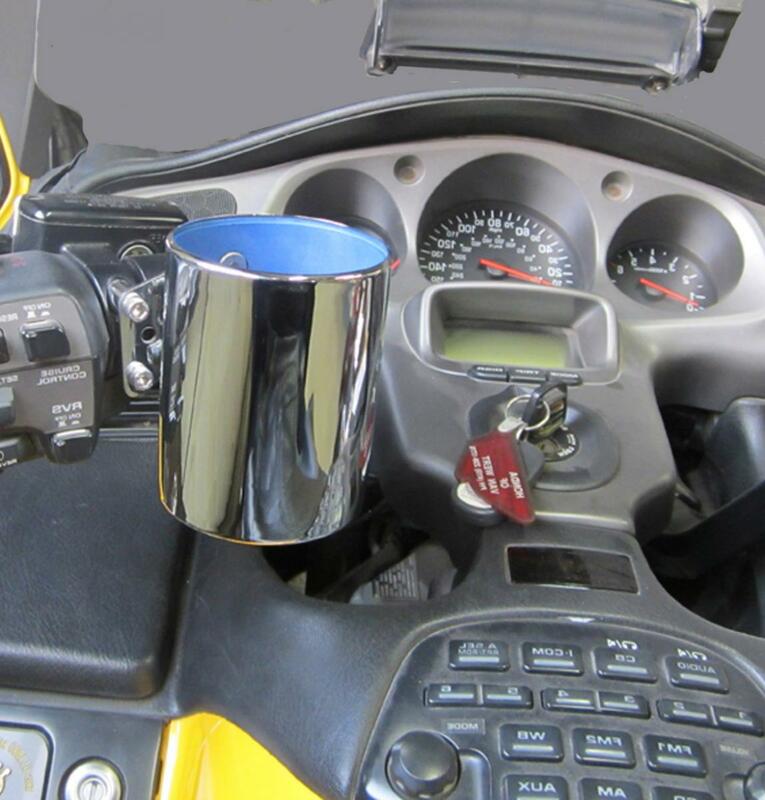 •Triple plated chrome finish stainless steel Cup. •Comes with mounting plate and screws & washers. •Holds 12-20 oz bottles, cans & 1 litter bottles. 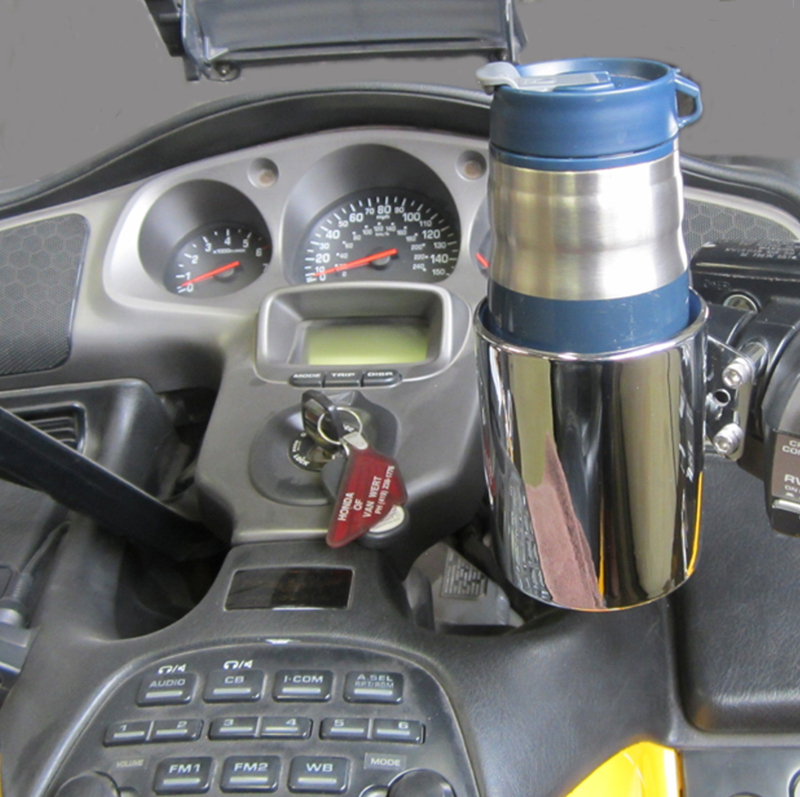 •Includes extra foam liner for various size cups. Soooo what is the big difference with this one?Looks just like a hundred other ones that you see for sale. If I\'d have known it would last this long I would have taken better care of it. I agree with Chris. Nice Holder, but looks like the one I got from you a couple of years ago. Is this new one more of a universal fit, or different in a way we can't see easily? 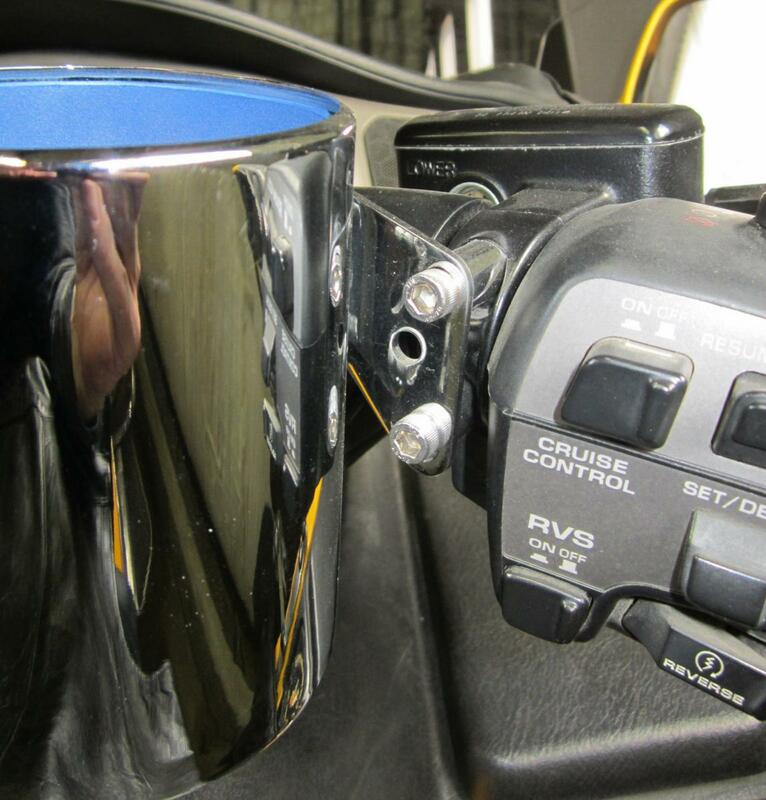 Our Cup Holder is Chrome plated stainless steel, so it will never rust. 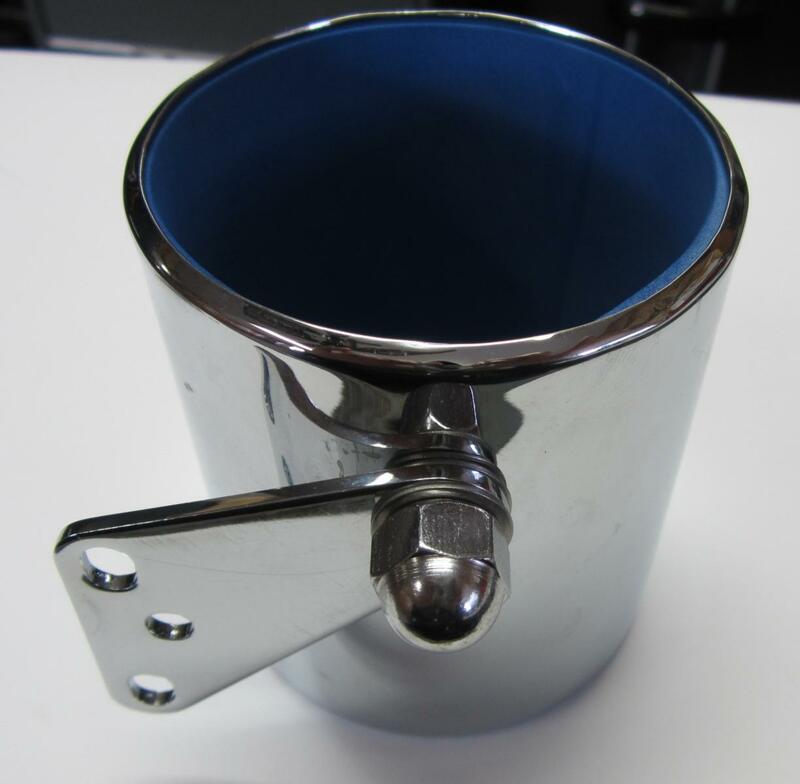 The Cup attaches with a universal flat bracket, so no bulky ugly clamps like a lot we have seen. Is the mounting hardware "one size fits all," or is model specific? Interesting. The second photo is just the first backwards instead of being mounted on the left. I personally prefer not to have drinks where they can spill of drip down onto the radio or other things but that's me! Nice looking holder though. Does the Cup have a drain hole or weep hole to drain built up condensation or rain out of the Cup? And does the cup pivot while leaning the bike from that single bolt? Steve Saunders Goldwing Forums > Vendors > Baker Built Air Wings Inc.